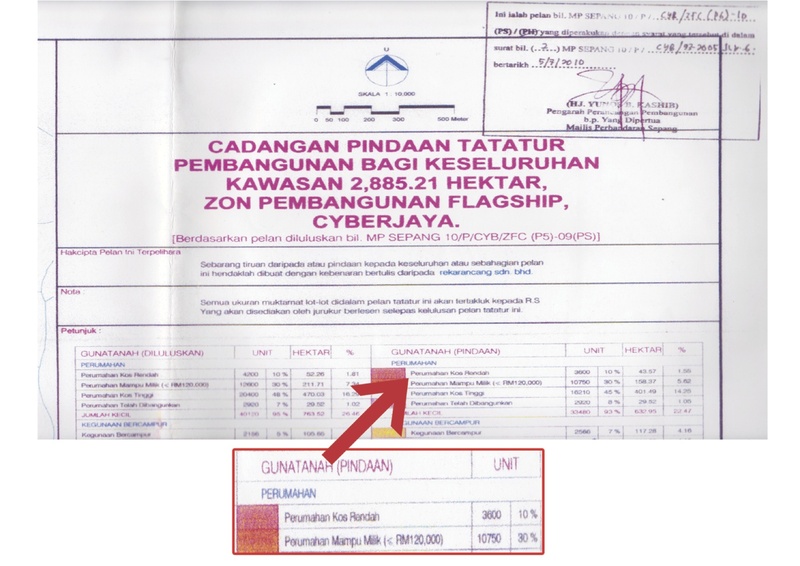 WHAT IF “AFFORDABLE HOMES” NOW COST RM220,000 AND “LOW COST HOMES” COST RM120,000? Luxstar Housing Development Sdn Bhd & Tan Yew Lai Development Sdn Bhd are committed to providing AFFORDABLE HOUSING through the Government’s initiatives of LOW AND MEDIUM COST HOUSING SCHEMES to the RAKYAT. However, some of the Rakyat who’ve supported us since last year are now feeling insecure with regards to our project of providing Medium Cost (Affordable) Housing to them… even when the offer price is only RM120,000. 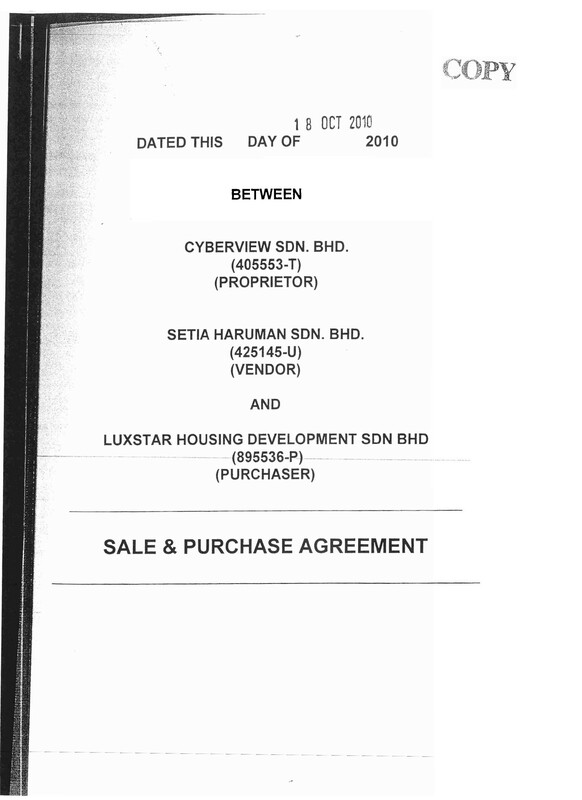 Luxstar Housing Development Sdn Bhd (the Purchaser) and Cyberview Sdn Bhd & Setia Haruman Sdn Bhd (the Landowner) signed and executed the Sales & Purchase Agreement (SPA) for the Land Purchase of BLOCK 11 (designated land for affordable homes) on 18th October 2010. 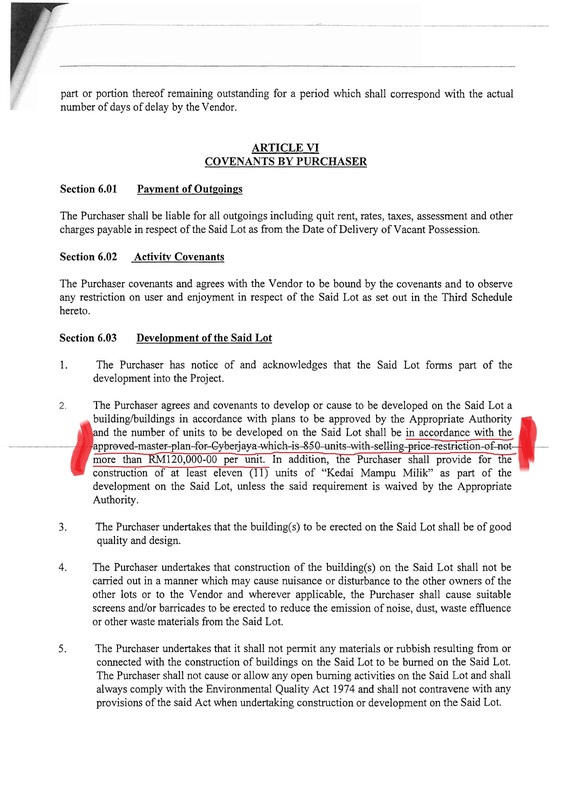 Its stated in the SPA that the Purchaser bought a piece of residential development land for the SOLE PURPOSE (mentioned EXPLICITLY) of developing 850 units of Medium Cost (affordable) Housing which HAVE TO BE PRICED at RM120,000 in which the Purchaser acknowledged and agrees. The Purchaser then applied for Developer License on 2nd November 2010 with all relevant documents enclosed and intact. Please see the document published under the page “SULIT” for details of MPS submission and the COMPULSORY requirement on allocating for LOW COST HOUSING. All plan submissions relevant to Majlis Perbandaran Sepang (MPS)’s One Stop Centre (OSC) were done on or before 15th December 2010 with ALL RELEVANT FEES amounting to approximately RM397,015 were paid on 15 December 2010. See “SULIT” on issue of “mengemukakan“. Being a project benefiting Malaysian, AND YET OUR PROJECT IS PRACTICALLY THE ONLY ONE WHICH HAVE TO WAIT FOR SO LONG AND STILL HAVE NOT GOT OFF THE GROUND. WHY!? Rumors have it that affordable homes would soon cost RM220,000 and above in Cyberjaya and this will apply to the 10,750 units allocated as shown above. This would mean an additional RM1.075b worth of revenue for all interested parties. HOW DO YOU FEEL ABOUT THIS!? This means each of us would have to fork out an extra RM100,000 for an “affordable home”. Additionally many would also realize that the first and currently the only affordable home project is the last to get off the ground. Strange isn’t it? Please stay tuned as more documents will be published on this matter. We BELIEVE that everyone DESERVES a home which is affordable regardless of race and religion. If you feel the same, please support us. Please look BEYOND just an SPA, ask why they specify 850 units and RM120,000 per unit. THIS LUXSTAR HAVE TO COMPLY… HAPPILY!! However there’re others who feel otherwise. If you are sincere, please post the answers to my earlier questions openly. Any purchaser has the rights to know the truth. — Mr K.
IF YOUR’RE ALSO SINCERE MR K… PLEASE IDENTIFY YOURSELF AND SEE US AT TYL OFFICE DURING THE STIPULATED HOURS. ALL PURCHASERS ARE MOST WELCOME. YOU’LL HAVE THE FULL EXPLANATION AND UPDATES… BY THE WAY ARE YOU ONE OF OUR BUYERS!? What about the land title? Showing this SPA din’t able to prove that the project will start soon. Come see us, you know where to find us and when. Thanks. Didn’t you see? Wait just a little while more only.